Do you offer Bike Rentals? 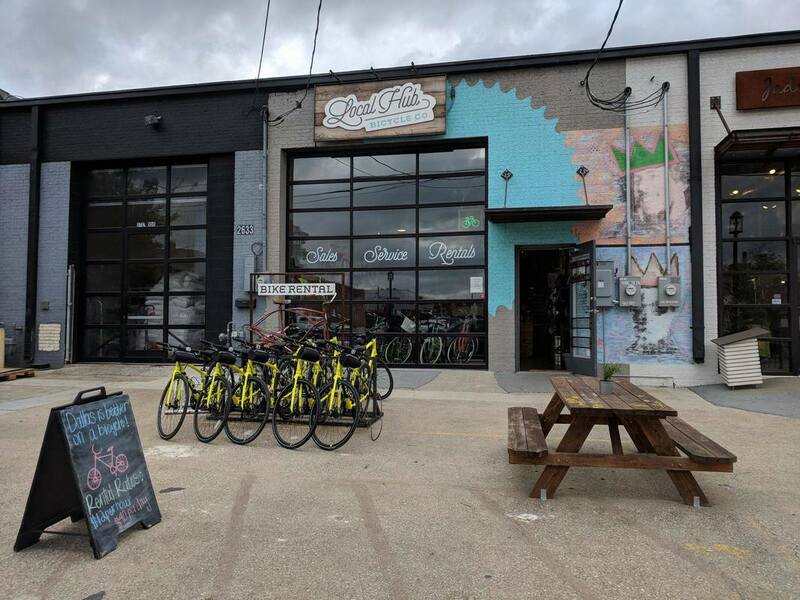 The 6-Pack Trail is a Bring Your Own Bike event and there will not be any bike rentals provided onsite at the Dallas, Fort Worth and White Rock check-in locations, for these tours you must Bring Your Own Rental if renting a bike. For the Deep Ellum tour, Please reserve in advance for a Bike Rental to be provided onsite at check-in. Official Bike Partner Local Hub Bicycle Company is offering discounted rental rates to all registered 6-Pack Trail Tour participants. Their location is only 3.1 miles away / 13 minute drive from the 6-Pack Trail Tour check-in location at LUCK at Trinity Groves. Once you book a 6-Pack Trail Tour there will be a $15 OFF discount code in your tour confirmation email good for use on Local Hub's $50 daily rental rate. With use of this code you'll be able to get a great, high quality rental bike you'll enjoy riding for only $35!! !